Leading by Example — our corporate citizenship program — is rooted in our mission to “be a socially responsible corporate citizen and an active participant in the communities in which we live and work.” Education and workforce development are the cornerstones of our program; however, our employees also can determine what issues matter most to them personally — hunger, literacy, homelessness, health — and, with our support, take the lead. Interested in learning more? Download our corporate citizenship report for an in-depth look at Robert Half’s ongoing commitment to the people and businesses we serve worldwide. If you have questions about Robert Half’s citizenship programs, please email [email protected] or call 650.234.6000. 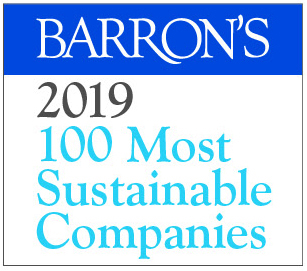 Logo reprinted with permission of Barron’s. Robert Half is proud to be selected for the 2019 Bloomberg Gender-Equality Index for promoting gender equality.